For the Indian Cooking Challenge this edition, I decided to ask my BM friends for ideas. As always I had a huge selection to go through, which I am sure will keep me occupied for many months. There were popular request to move to other unknown states, however I settled on Pazham Varatti after getting an email from Jay. 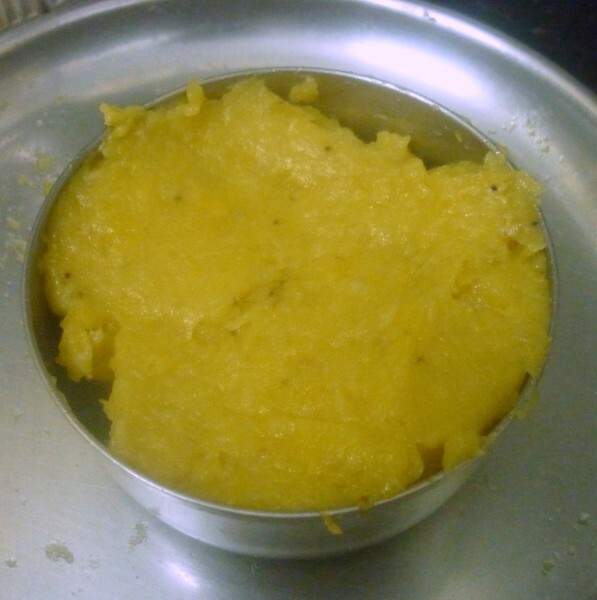 She mailed the recipe in response to my query on a banana halwa that I had tasted a while ago. 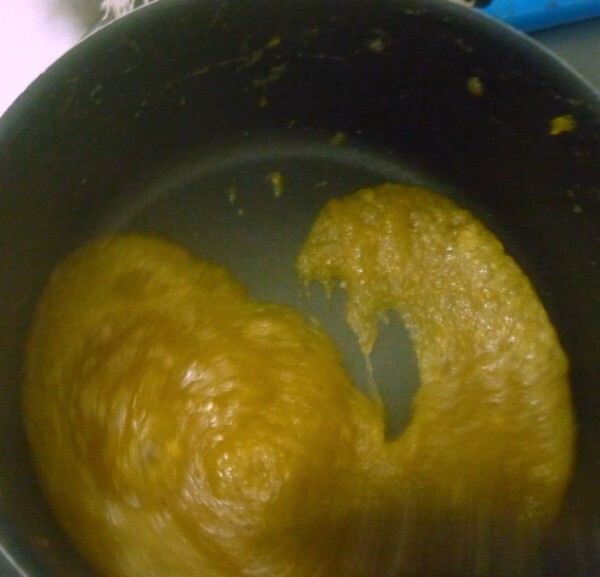 So since she never made it herself, she called up her mom for the recipe and sent it across. Trust me, the taste that I remember from that meal still lingers somewhere. And I wanted to capture that.So while I apologies to my friends who were expecting something else, let’s head on to Kerala to try this delicious sweet. I am not sure if it’s supposed to be a Jam or a Halwa. 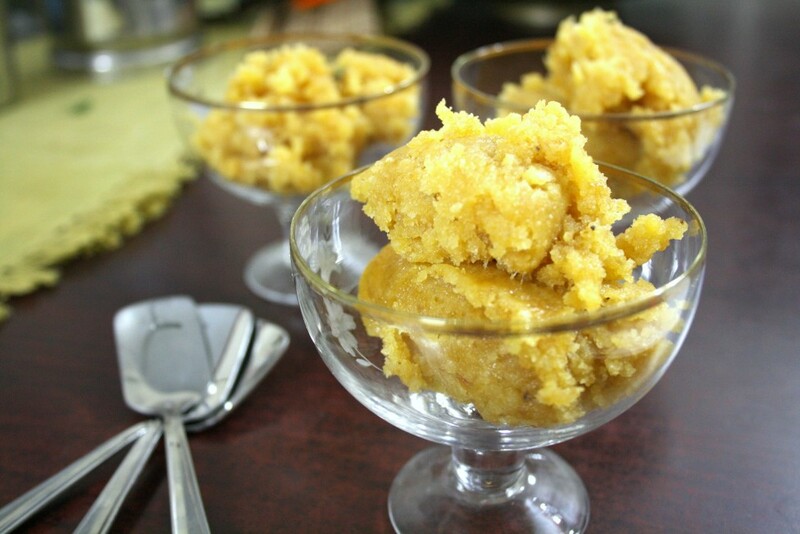 I assume it to be halwa, because it almost follows the pattern I did when I made the Banana Halwa myself. However this one promises to be more heavenly and delicious and from experience I know it is. 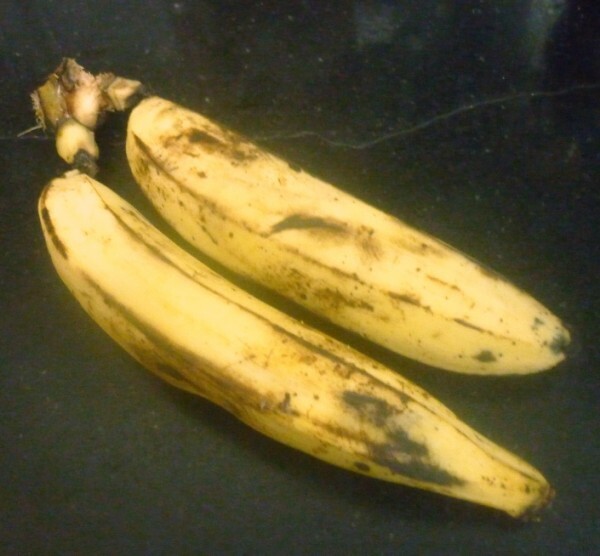 You need good quality, very ripe Kerala plantains (nenthra pazham) for this. 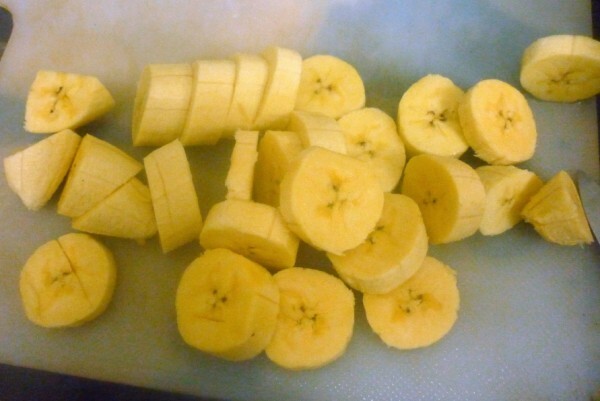 Peel and then cut the plantains into rounds. Put it in the cooker for 2-3 whistles or Microwave it for 2 -3 mins until soft. Measure the pulp you have got. 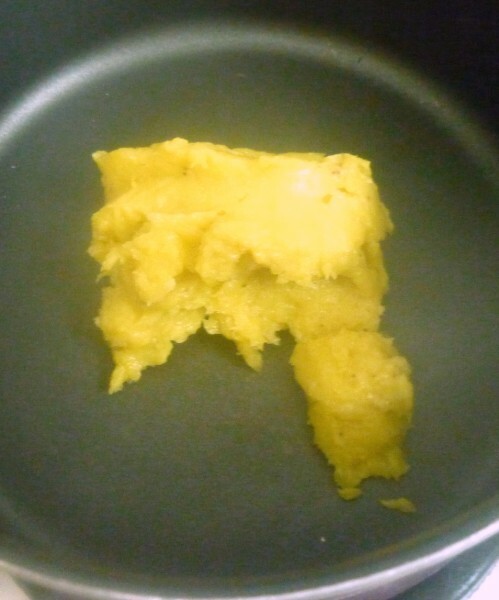 Transfer this to a broad kadai (non-stick makes your work easier). 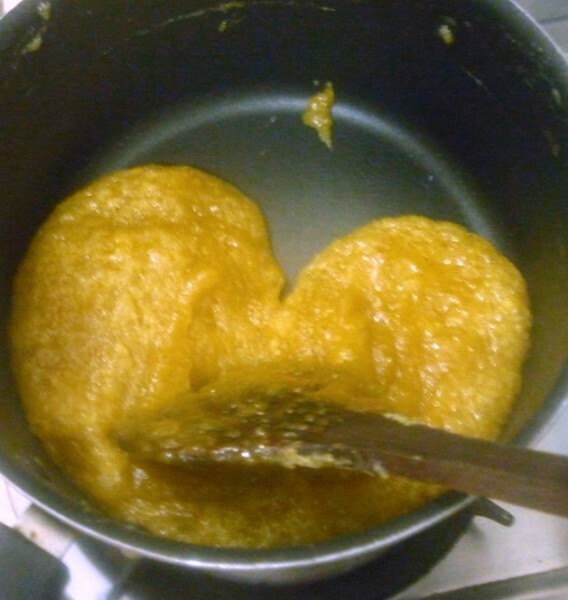 For every cup of pulp you have, add 1.5 cups of sugar. 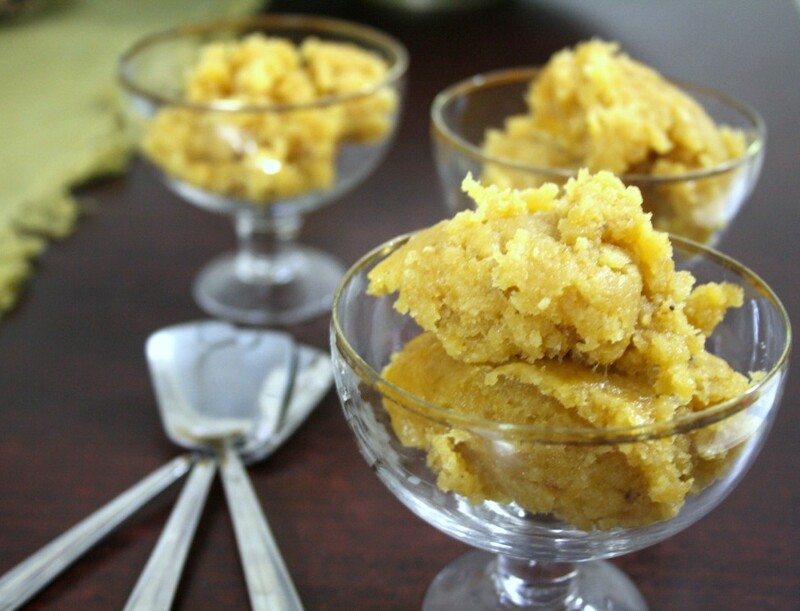 Add ghee little by little at regular intervals and stir every now and then until it reaches the required consistency. 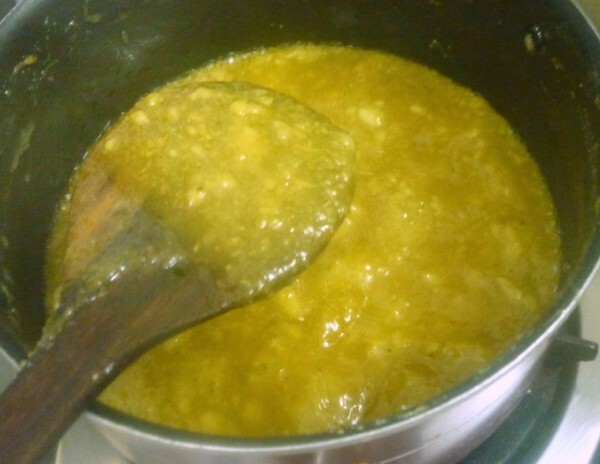 There is no fixed quantity for ghee, whenever you feel the mixture is becoming sticky, add some ghee and stir well. You can start with 3 tbsp and increase if needed. You need a really good non stick pan for cooking this and it makes the stirring much better. 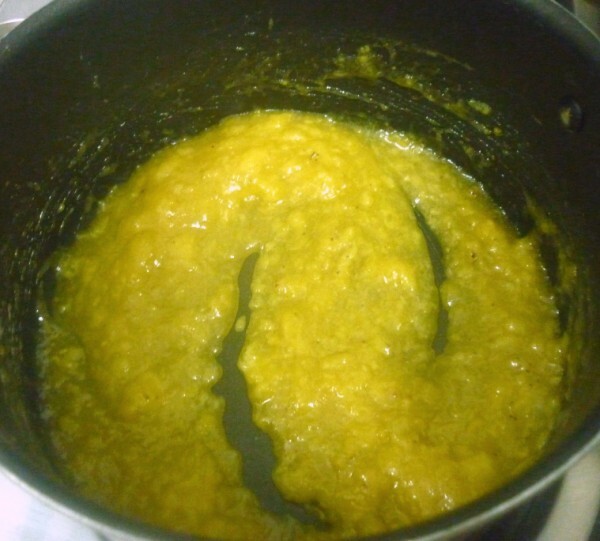 Either ways as with other halwas, excess ghee can always be removed, as it will ooze out of the sides. 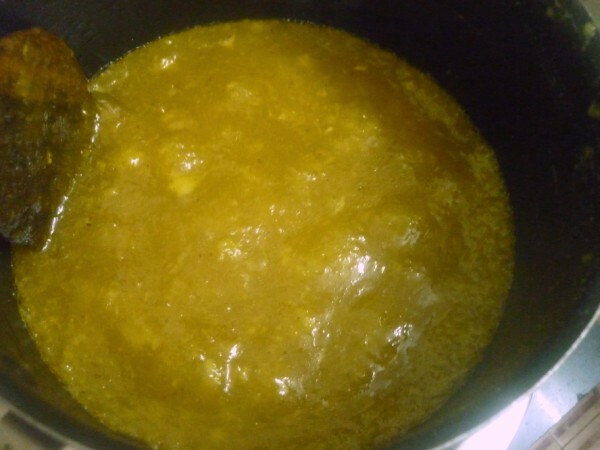 The colour of the end product, depending on the quality and ripeness of plantain used will vary from a dark honey colour to brown. 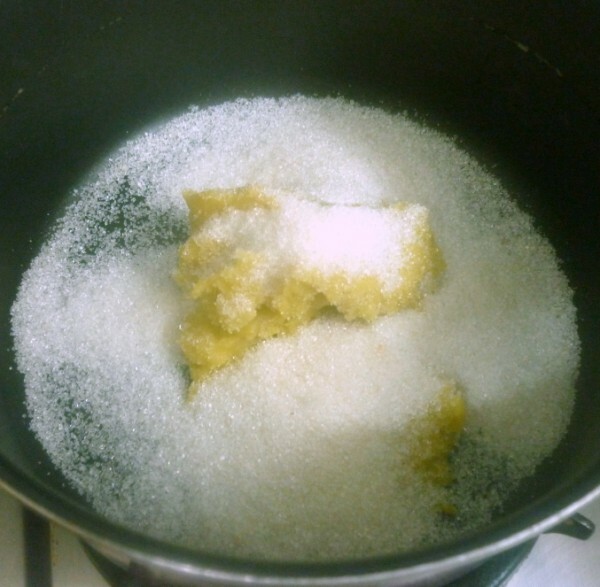 You will know that it is time to remove the halwa from the stove when it has thickened and starts leaving the sides of the pan. 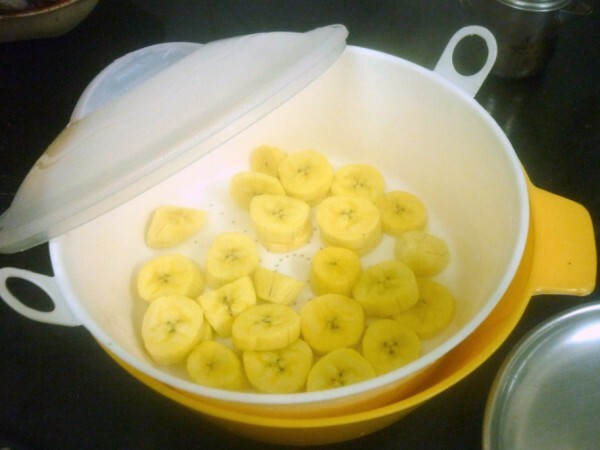 However, if someone is unable to get plantains and still wants to make this, please skip the step of cooking the bananas. 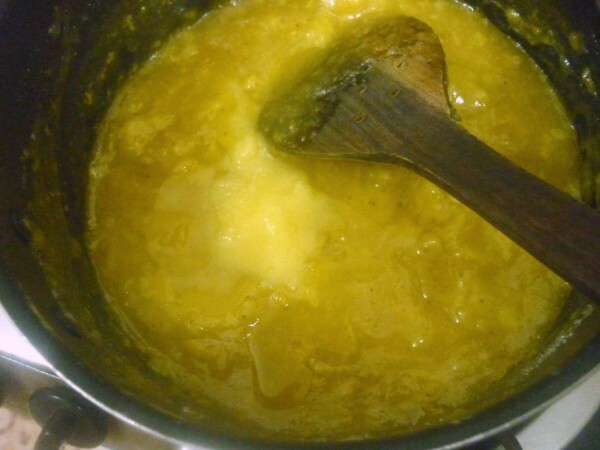 Puree them in the blender and use the same measurements after that. Other bananas tend to burn and stick to the bottom of the kadai very easily and quickly, so you need to keep a careful watch and keep stirring regularly. Again, over cooking with other bananas will give you a rock hard product. So you need to watch and switch off at the right stage (when the mixture starts leaving the sides), whereas the Malabar variety is quite forgiving and a few extra stirs won’t hurt the final product. The colour of the end product will be a dark brown in this case. I got the fruit couple of days ago, yet it wasn’t ripe, so the colour turned out more yellow. Also it didn’t reach the glossy look. Maybe I will make this again. That looks delicious Valli. I tried to find bananas/ plantains similar to what you described, but was not successful. Will definitely have to try this dish when I get my hands on these beauties.. It sounds too tempting. 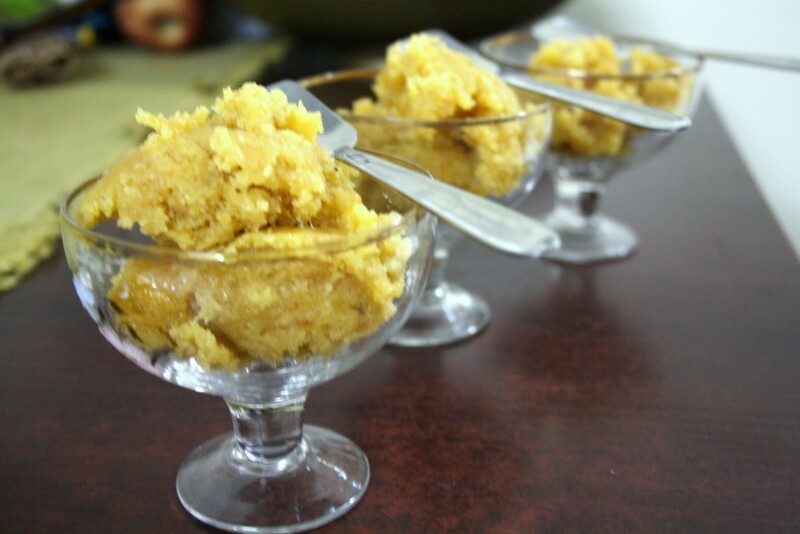 Looks tempting for sure…yummy halwa! !